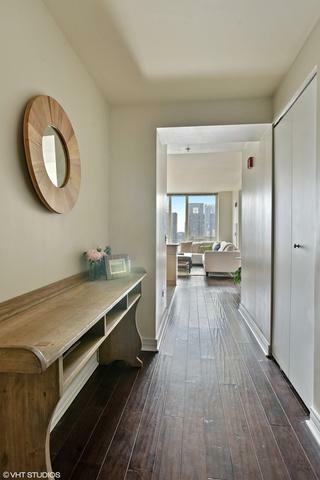 High floor sun drenched 695 SF jr 1 bedroom south facing with new wood floor throughout, features stunning city views and an open floor plan. 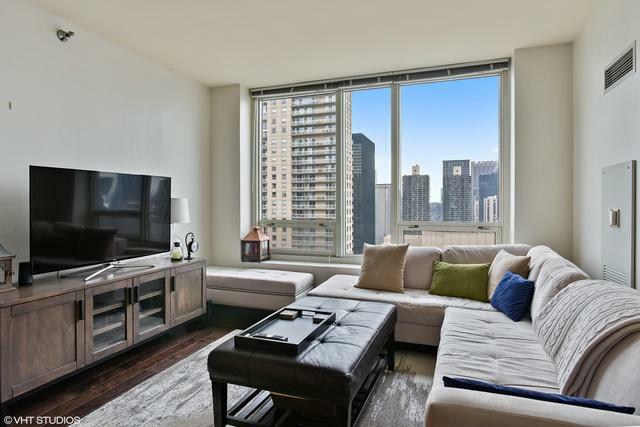 Part of an A+ building, the unit features 42" cabinets, granite counters, gas stove, breakfast bar, dual closets in the bedroom and in-unit W/D, new dish washer. 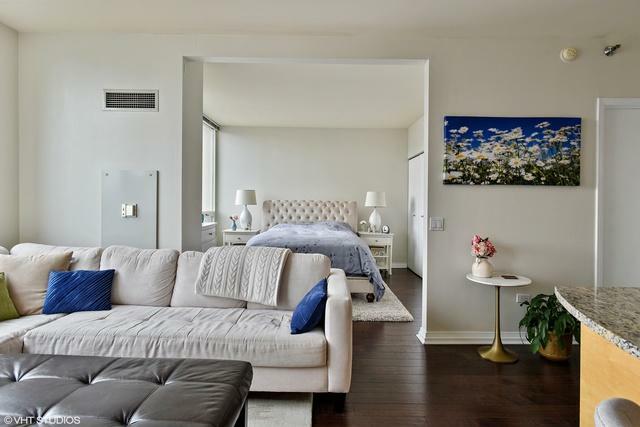 The building amenities include a 24 hr doorman, outdoor pool with sundeck, fitness center, party room and storage. 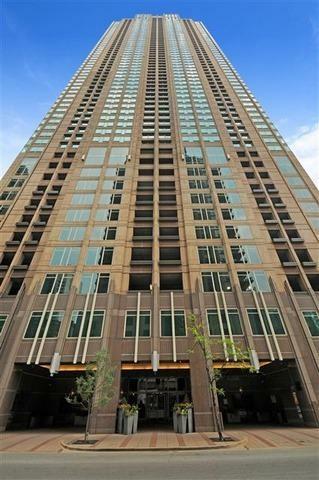 Located in the heart of River North, near dining, shopping and nightlife. Assessment include everything except electricity.